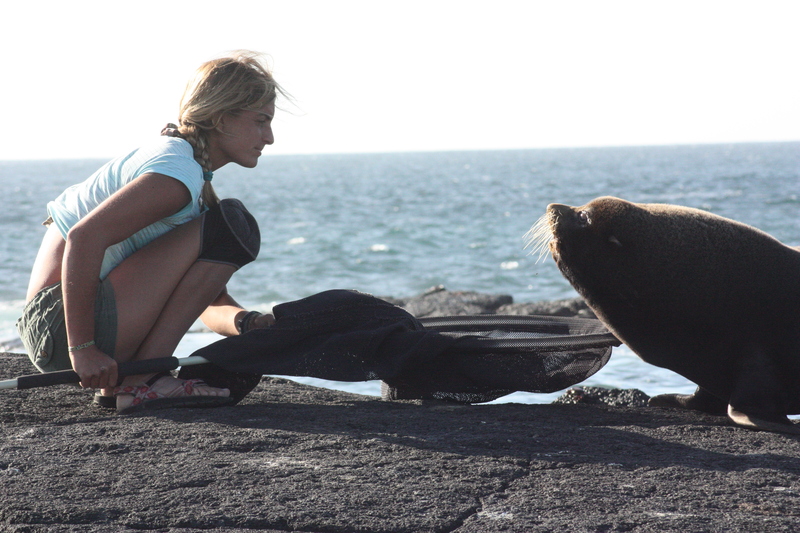 Jana Jeglinski (University of Glasgow) and Markus Horning (Oregon State University) both studied the diving behaviour of Galapagos fur seals (Arctocephalus galapagoensis) during PhDs conducted twenty years apart. 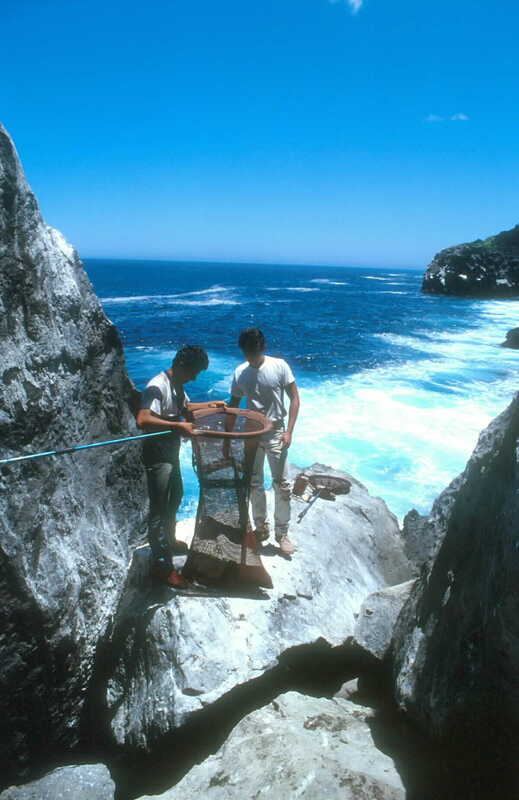 Although the technology changed in the intervening years, baseline data recording how long and how deep these seals’ dive provide a unique opportunity to compare their diving behaviour across time. Galapagos fur seals are the smallest species of pinnipeds and one of two species endemic to the Galapagos, thus the only truly tropical seals. What is truly fascinating about this species is their ability to live in a highly productive, yet also highly variable environment where access to food can be severely limited, both in space and time. The prey of these small seals which includes myctophids and bathylagids or ‘lantern fishes”, as well as squid, are accessible only at night when they migrate nearer to the surface and within the seal’s diving range. This migration is influenced by the lunar cycle and the abundance and distribution of these prey are strongly tied to upwelling events, when nutrient-rich deep, cold water rises to the surface. In this exciting collaboration, Jana and Markus will seek to gain a broad-scale understanding of the diving behaviour of these seals in a fluctuating environment. Join us on Naturally Speaking Shorts to find out more! Don’t forget you can subscribe to automatically receive our latest podcasts here. Trespassing is not allowed! A Galapagos fur seal colony during the breeding season is segregated in lots of clearly delineated territories, fiercely defended by the bulky adult males. Here Dr Jeglinski negotiates her way past one of the territorial males, as she tries to recapture one of her study animals, a female sleeping within the male’s territory. Galapagos, 2009. 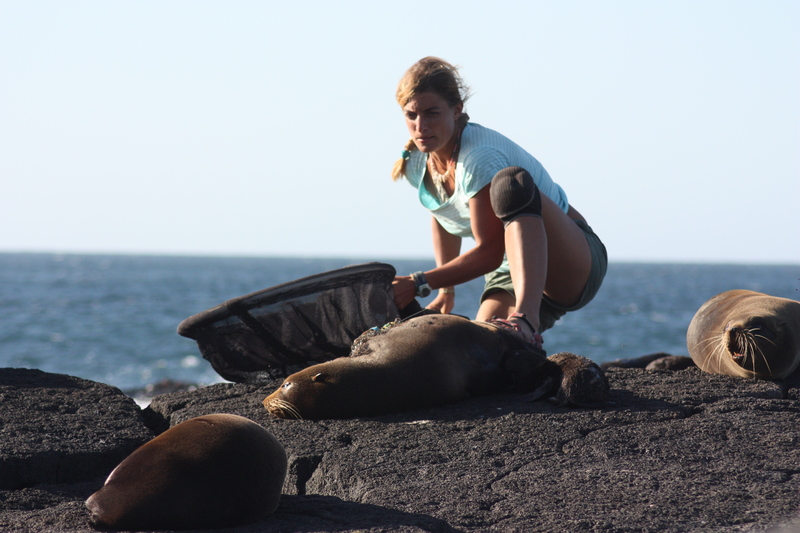 Sneak and run: Dr Jana Jeglinski recaptures a female Galapagos fur seal she equipped with a GPS TDR (time depth recorder) about a month earlier. The loggers and with them all the valuable data they collected will be lost if the capture goes wrong and the animal escapes, which probably explains Jeglinski’s facial expression. In the bag! 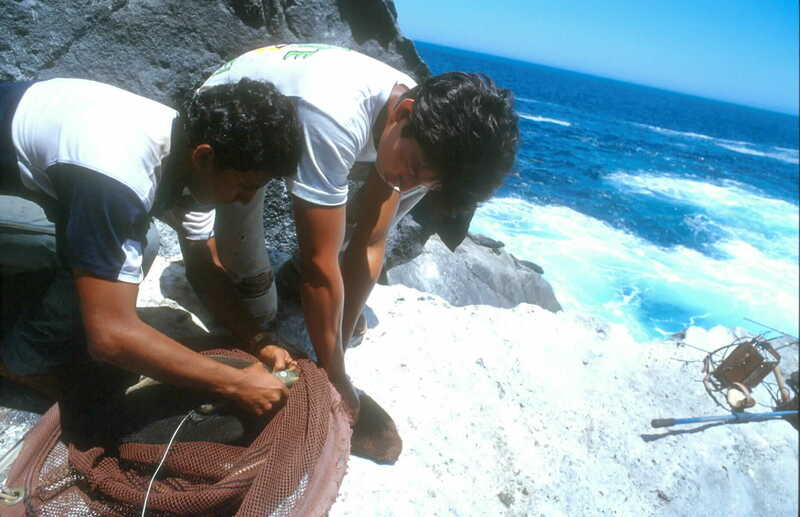 Two Ecuadorian students – Fabricio Barahona and Mario Piu successfully recapture a tagged young fur seal in 1991. Success! Two Ecuadorian field assistants make another successful recapture and are able to retrieve the Time Depth Recorder (TDR) from the seal’s back. The device is glued to the seal’s fur with 5-minute epoxy, and is simply peeled off for retrieval. Galapagos, 1991. Listening for a signal: Getting a VHF (Very High Frequency) radio signal can be tricky. 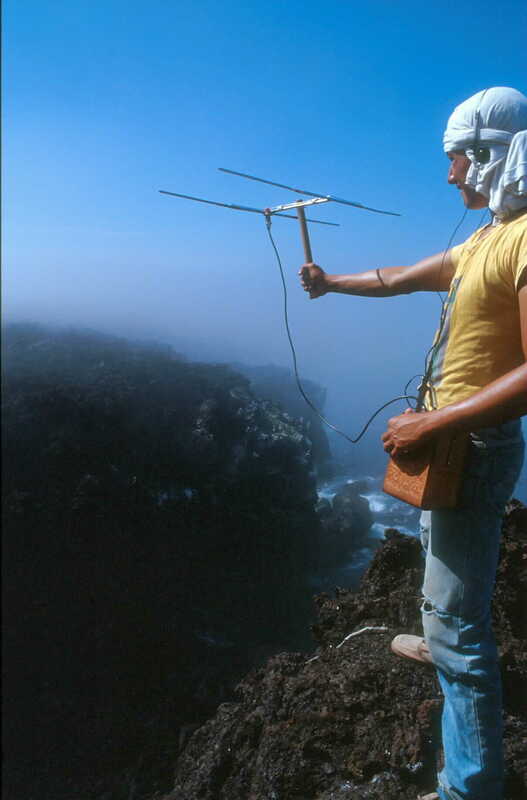 Mario Piu must listen carefully to the signals in order to detect the location of the tagged Galapagos fur seals. Galapagos, 1991. Interested in learning more? Check out these papers by Markus and Jana. Horning M, Trillmich F (1997) Ontogeny of Diving Behaviour in the Galapagos Fur Seal. Behaviour 134: 1211-1257. Horning M, Trillmich F (1997) Development of Hemoglobin, Hematocrit and Erythrocyte Values in Galápagos Fur Seals. 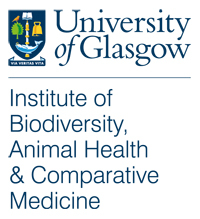 Marine Mammal Science 13(1): 100-113. Horning M, Trillmich F (1999) Lunar cycles in diel prey migrations exert stronger effect on diving of juveniles than adult Galápagos fur seals. Proceedings of the Royal Society B-266 (1424): 1127-1132.